Girls are stronger than men in every way, want to prove that and show that. 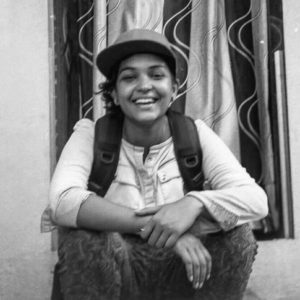 Being a tomboy since forever want to make films about women empowerment and exploring rural areas and especially north-eastern states of India which has stolen my heart. Make films to show the daily kindness I offer and receive by the lovely random people I meet across the street every day. Simplify things instead of complicating it. I laugh. I cry. I travel. I dance. I live.